The annual show and sale at Worcester held by McCartney’s was topped by a ewe lamb selling for 2000gns a breed record for a Zwartbles in the South. 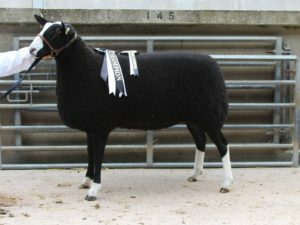 Rams: Trade topped at 950gns for a ram lamb Cynefin Bobi from O Hughes Owen Anglesey. 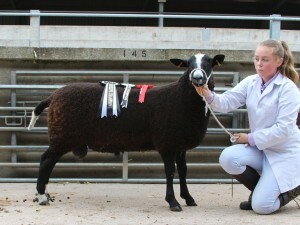 Bobi was also the male and reserve champion and sold to M Simpson’s Tardoes flock Kilmarnock. Next in the lambs was at 400gns for Pen Llyn Buckaroo from W J Williams Gwynedd selling to B Gibson’s Hadrian and C Anderson’s Wallridge Moor flocks Northumberland. 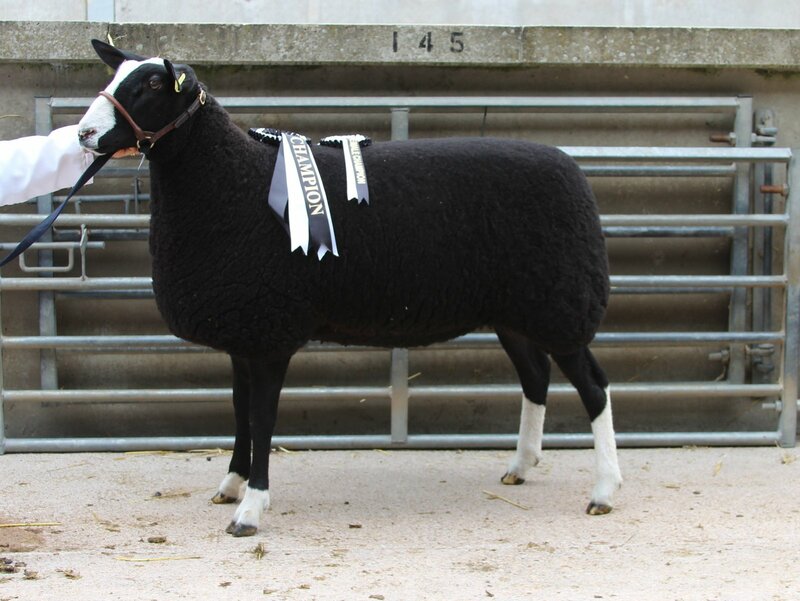 Shearling rams topped at 500gns for Homlea Alladin from J Thorburn Annan to I Crabtree’s Crabtree flock Ashbourne. Females: Out with the top of 2000gns next leading prices were for two ewe lambs at 400gns the first again from Rob and Vicky Grinnall Beech Hay Blaze selling to M J Cornish Devon the second was for Bobet Angela from B Williams Aberystwyth selling to S Rowland’s Dyfi flock Powys. Shearling Gimmers topped at 420gns for Pistyll 00054-707A from for GA & HM Francis’ also the reserve female champion selling to D Miskelly’s Corrybrae flock Aberdeen then at 360gns Mendip 00009-0981A from P and A Coombs Somerset selling to E B Skyrme Lampeter and at 310gns to the same buyer for G Doyle’s Atherington 00657-110A. Aged Ewes topped at 200gns for B H and D C Roberts for Gable West 00705-007T selling to DWF Pearse’s Huish flock Devon. Non MV’s topped at 110gns twice for shearlings from A Tongue’s Windmill flock Bromsgrove selling to J Kimber’s Speccott flock Okehampton. 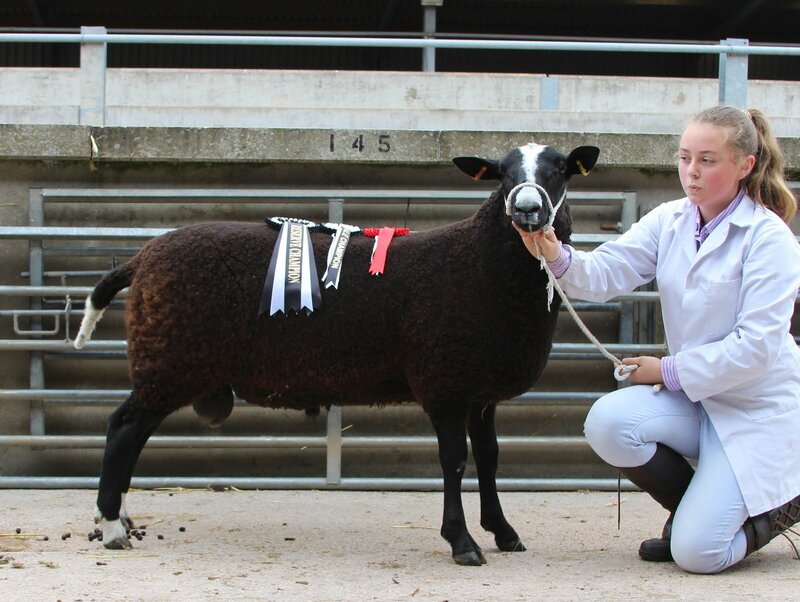 Ewe lamb Beech Hay Black Diamond bred by Rob and Vicky Grinnall was the female and overall champion.